VILLAS AND APARTMENTS TO RENT IN MOTRIL, SPAIN. 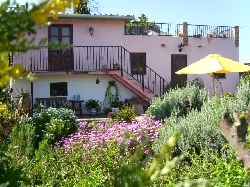 Welcome to our selection of holiday homes to rent in Motril, Spain. Motril is the second largest town in the southern Granada province of Spain and has an almost tropical climate. It lies on the slope of the Sierra L�jar. The town has many historic baroque-style buildings that are of interest to tourists, including the town hall dating back to the 17th century and the Sanctuary of Nuestra Se�ora de la Cabeza upon a hilltop, which was previously the site of a Moorish palace. There are a variety of attractive sunny beaches in Motril, with the most popular beaches being the busy Playa Poniente, which has many facilities suited towards tourists and the quieter Playa Granada. Motril has the largest amount of shops in the region and there are several restaurants - fresh fish and seafood, including sardines, anchovies and shrimp are the most popular local cuisine; and is also auctioned off by the port. The marina is an ideal location to visit if you are interested in watersports such as flysurfing or even if you wish to take a boat ride across to Morocco. Other sports to try out are rock climbing, mountain biking or you can just enjoy a relaxing game golf on the nine-hole course located on the Costa Tropical coast. Looking for self catering holiday accommodation in Motril? Then below is a selection of holiday apartments in Motril and holiday villas in Motril that can be rented direct from their owners. You can either click on each listing for further details or you can use our search engine on the left if you are looking for something in particular.